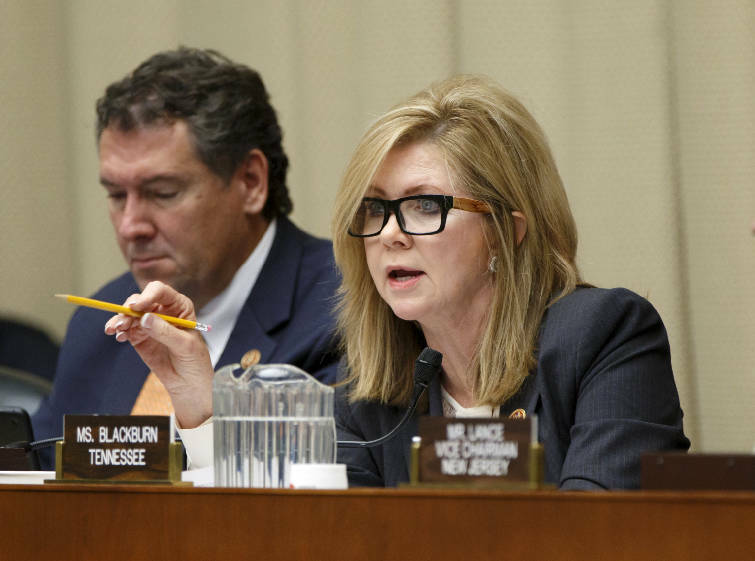 Tennessee's Rep. Marsha Blackburn is getting some attention in national media speculation about prospective candidates to become the next speaker of the U.S. House and her Tennessee Republican colleague, Diane Black, has at least been mentioned. Blackburn, who ran for conference chair in 2007 and lost, is also looking at a run. "I've had lots of my colleagues contact me yesterday evening and this morning and I've promised I would listen to them," Blackburn said. "It's good to hear them out. I've promised to listen to them and that's at this point all I do. We're eventually going to come around to the right person who can lead our caucus." The Los Angeles Times has a more cryptic quote from Blackburn suggesting she may be among GOP congressmen who don't want the job: "It's not on my to-do list." Read more from our news partners at KnoxNews.com.